Organic Black bean Mango Salsa. 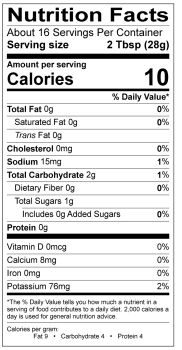 Low sodium. 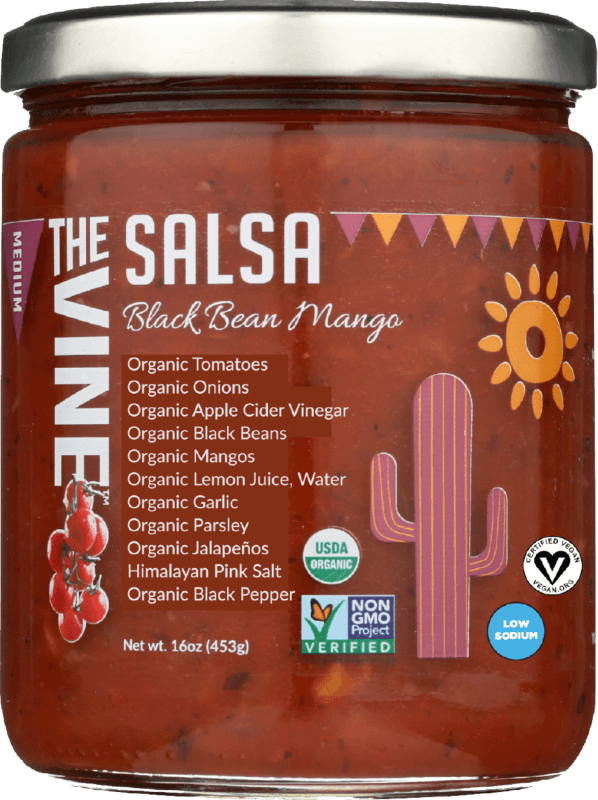 The Vine’s Black Bean Mango Salsa is sweetened with mango for a burst of tropical flavor. With tomatoes, black beans, onions and spices, this tropical sensation is packed with protein and makes a wonderful accompaniment to your tortilla chips, salads, and savory dishes. 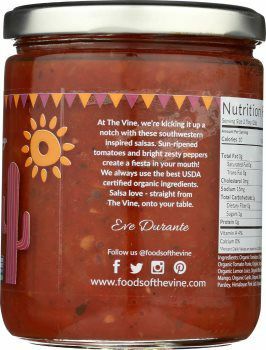 Ingredients: Organic Tomatoes, Organic Fresh Onions, Organic Apple Cider Vinegar, Organic Black Beans, Organic Mangos, Organic Lemon Juice, Water, Organic Garlic, Organic Parsley, Organic Jalapeno Peppers, Himalayan Pink Salt, Organic Black Pepper.